McQuilkin and his team of anglers recently competed in the “Offshore World Championships” held on the Pacific side of Costa Rica. The “Catch and Release” Billfish Tournament invites all the winners of the INTERNATIONAL GAME FISHING ASSOCIATION (IGFA) tournaments worldwide to contest in this World Championship. McQuilkin first qualified for the tournament by winning the St Lucia Billfish Tournament in October, 2015. The just completed Costa Rica tournament, which could be classified as the “Battle of the Champions,” was keenly contested between 66 different teams from all over the world, and saw over 1500 billfish, caught over the 4 days of the competition. 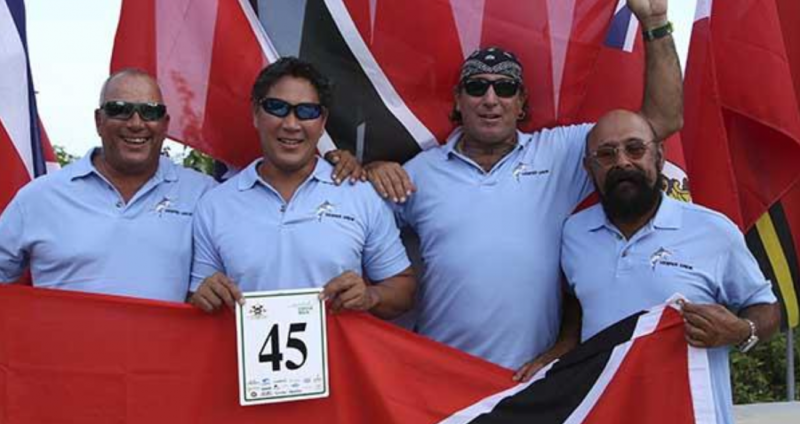 The Carriacouan entrepreneur, who is one of the major shareholders behind the new Tyrell Bay Marina Project in Carriacou, is also a highly competitive Sailor and has won Regattas throughout the region. McQuilkin commented that winning the World Championship is definitely the highlight of his Fishing career to date.